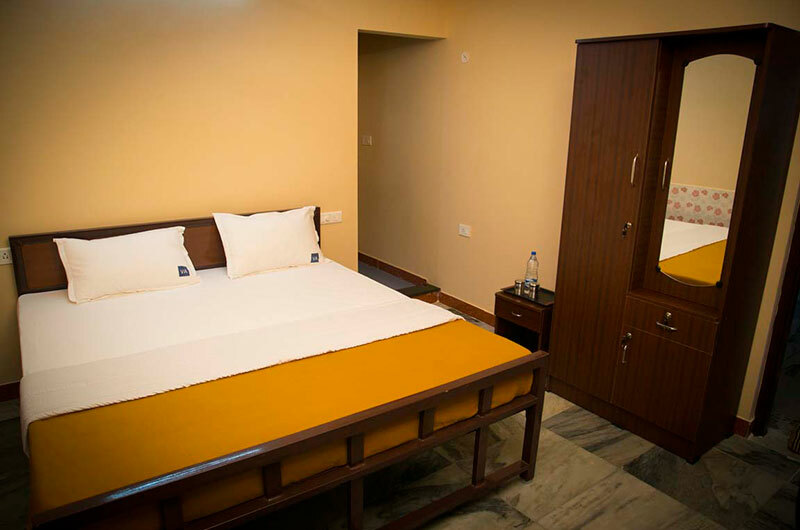 All guest rooms at the Navagraha Homestay features the comfortable Sweet Sleeper with neat and good Mattress and pillows. Offers 24hrs room service, 24 hrs. check out time , time to time laundry service, Both A/c & non-A/c rooms available. Each guest room is neatly maintained and cleaned periodically. 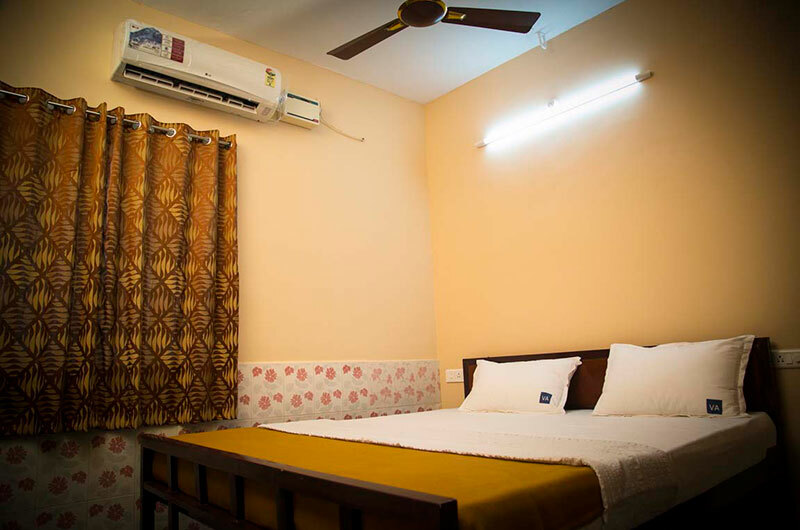 All rooms includes an LED flat panel television with remote control, an in-room safe, power backup facility, treated hot and cold water.